Warm weather. Picnics. Spring hikes. 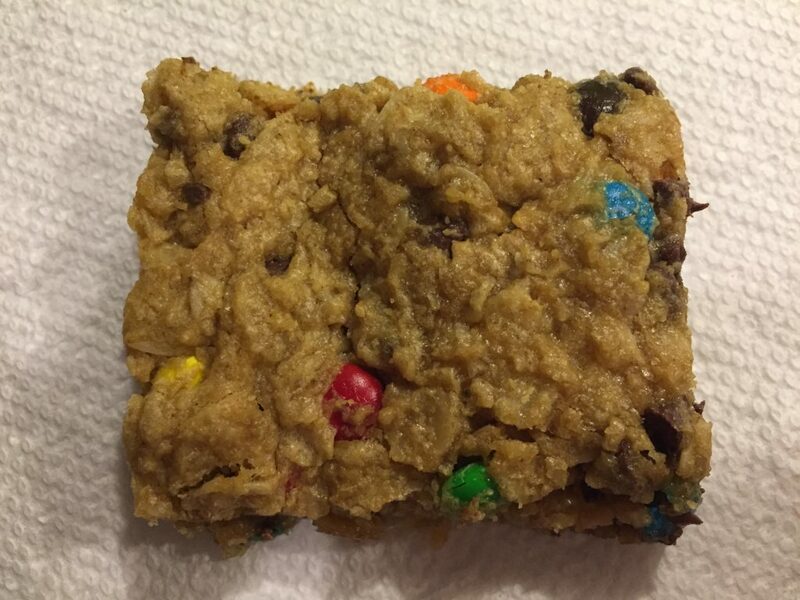 The perfect time to make these bar cookies. 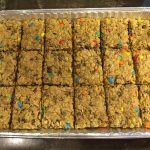 The peanut butter and oats make these stick to your ribs in a good way. 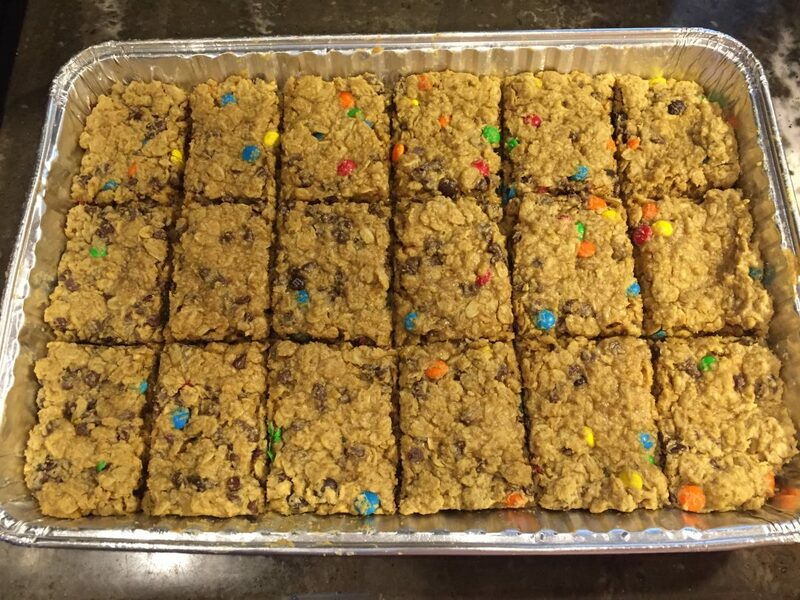 Equally at home served for a party or for soccer practice snacks. 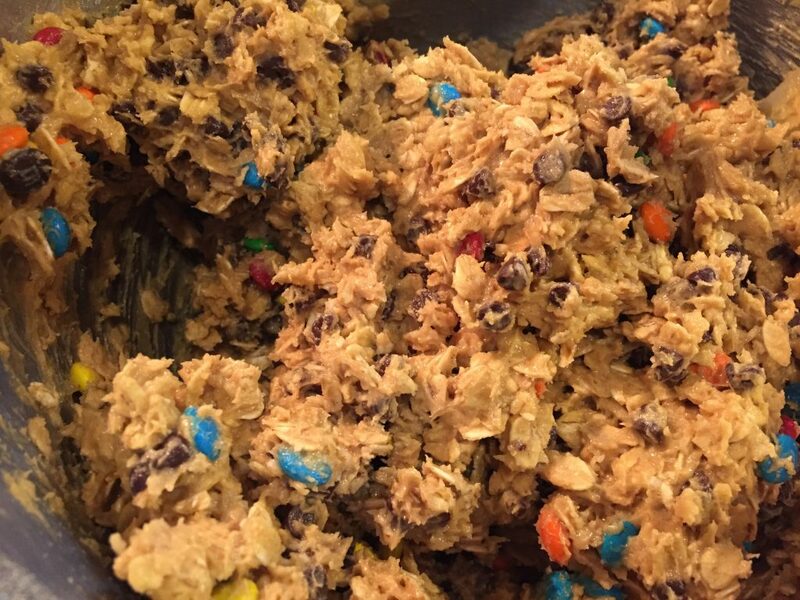 My friend, Shawn, gave me this recipe and it is too good to keep to myself! 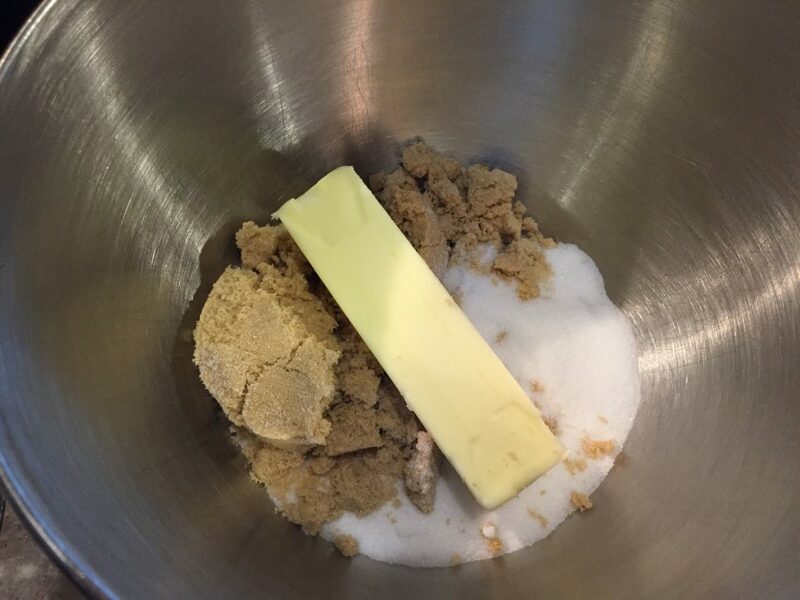 In a large bowl (or stand mixer) cream butter and sugars. Add eggs and vanilla. Blend in peanut butter and baking soda. 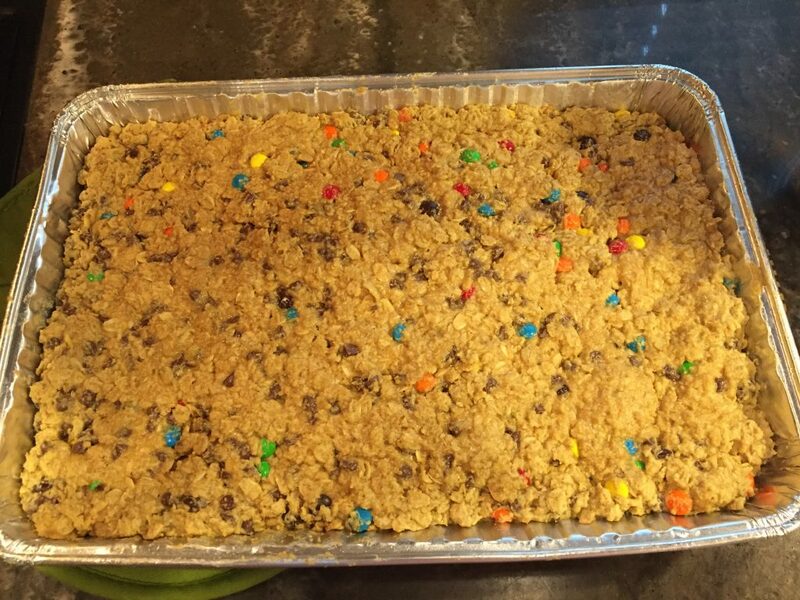 Stir in chocolate chips and m&ms. 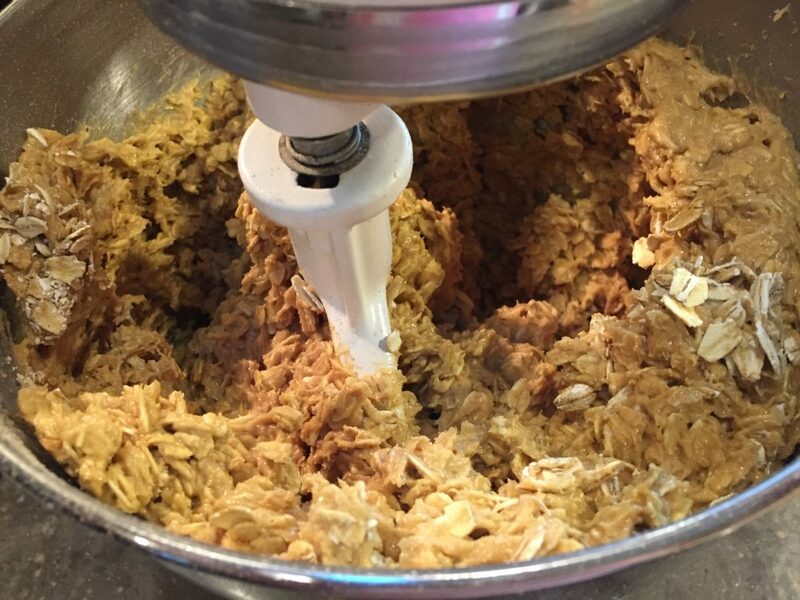 Spread dough in a greased 15″ x 10″ jelly-roll pan (or cookie sheet with sides). *Use a butter paper or a greased piece of waxed paper to press dough flat. * The dough will be very, very sticky. Don’t add more oats. Don’t be tempted to add flour. Bake in a preheated oven at 350° for 15-20 minutes until lightly golden. Cool and cut into bars. 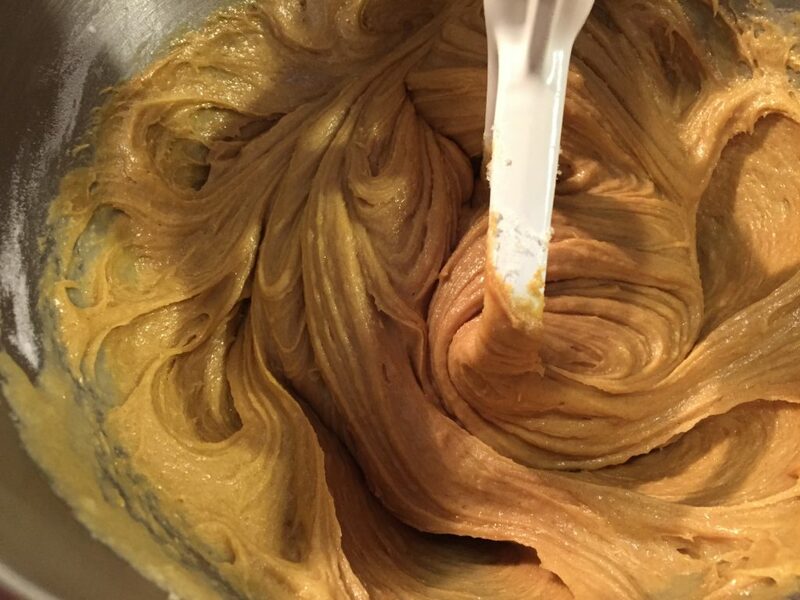 In a large bowl (or stand mixer) cream butter and sugars. Add eggs and vanilla. Blend in peanut butter and baking soda. Add oats and combine. 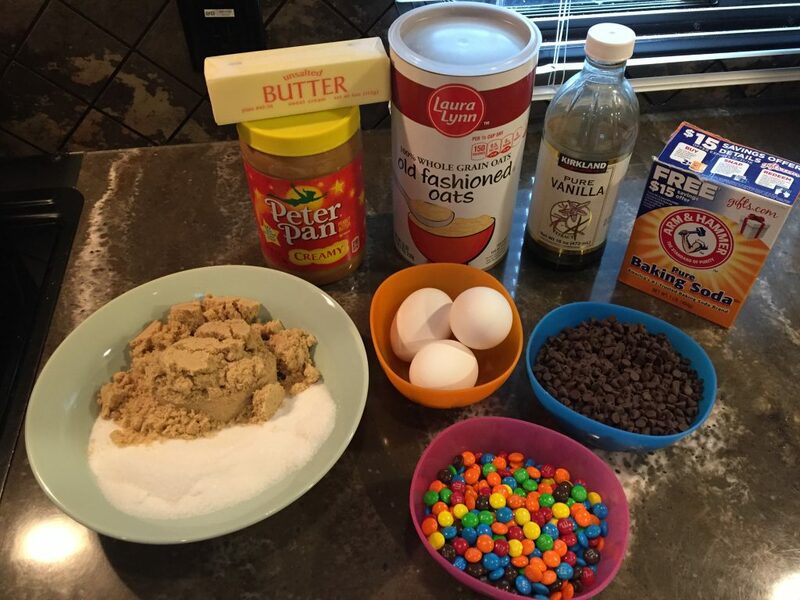 Stir in chocolate chips and m&ms. Spread dough in a greased 15″ x 10″ jelly-roll pan (or cookie sheet with sides). Use a butter paper or a greased piece of waxed paper to press dough flat. 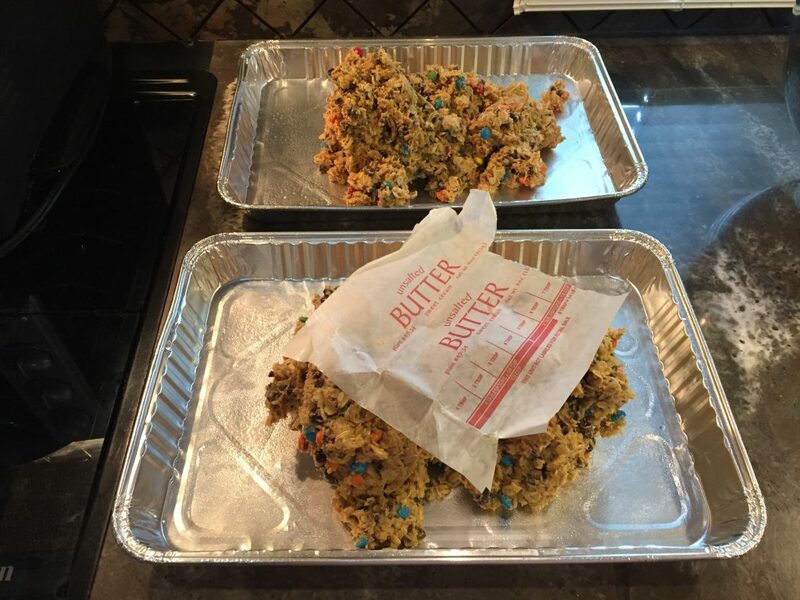 The dough will be very, very sticky. Don’t add more oats. Don’t be tempted to add flour. If making in a small oven (or an RV oven), split the dough in half and bake one smaller pan at a time. I purchased disposable cake pans to use in my RV oven. Bake time is the same.